At the moment, I am trying to blog most of my media archaeology related notes and images on Cartographies of Media Archaeology (the work blog for my in-progress Media Archaeology and Digital Culture-book that I am writing for Polity Press). 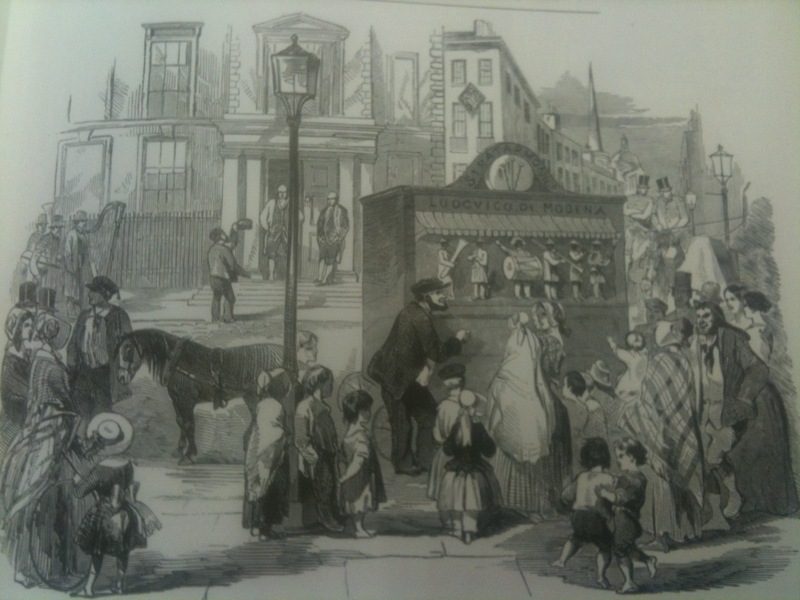 However, could not resist putting this up here – a short story and image from Illustrated London News, 19 December 1846. The worlds of technology (the new special street organ that differentiates this new brand of talent from “amateurs and artists”) and the worlds of music, the ability to bring operatic cultures of Rossinian and Bellinian spheres to the wider public, make up this special brand of economies of cultural industry of affect. Naturally this reminds that the contagious force of affect has a longer history – in terms of the affect theories in music (baroque and the early 18th century for instance) as well as in social theory that emerged in the late 19th century where it was discussed in terms of public space, contagion, imitation and crowds.